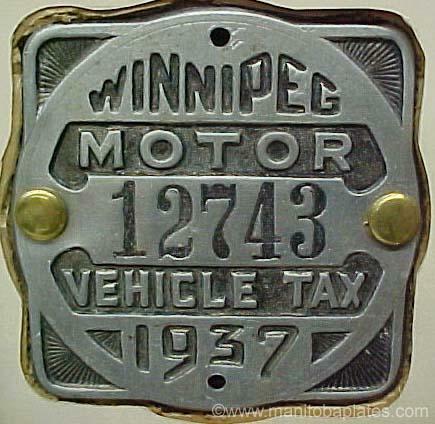 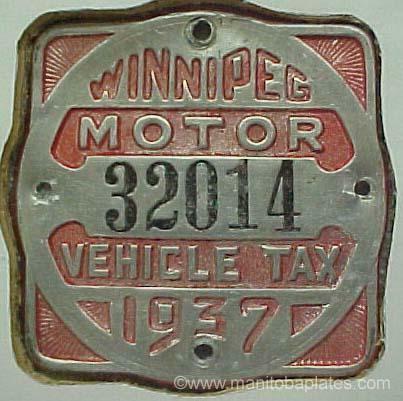 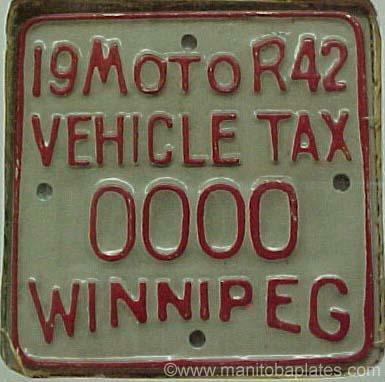 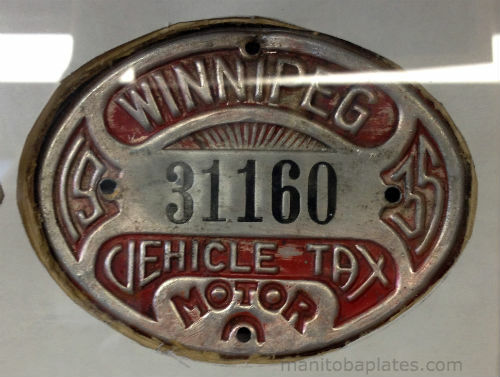 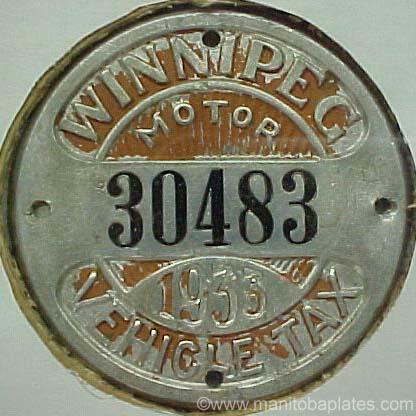 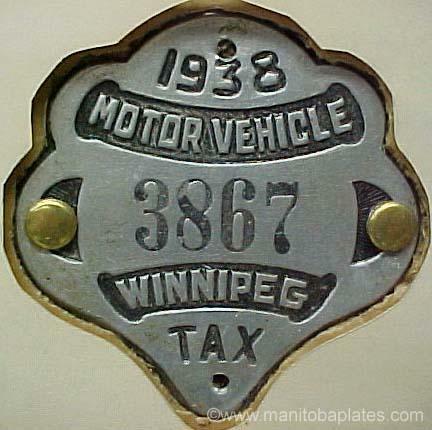 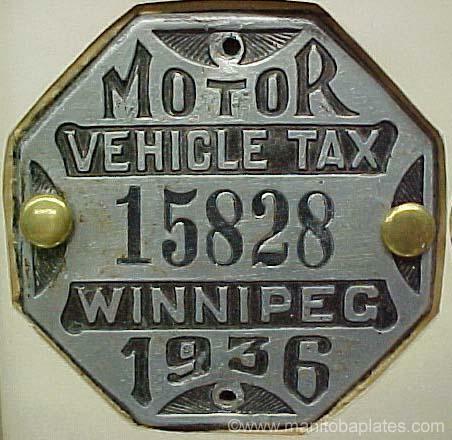 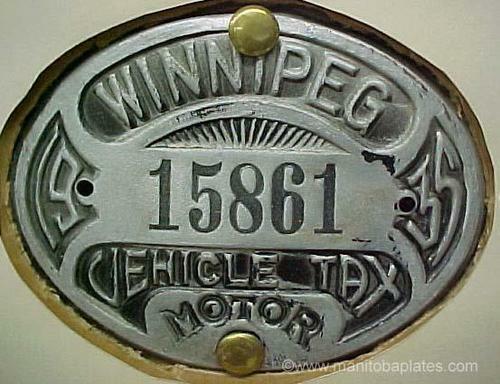 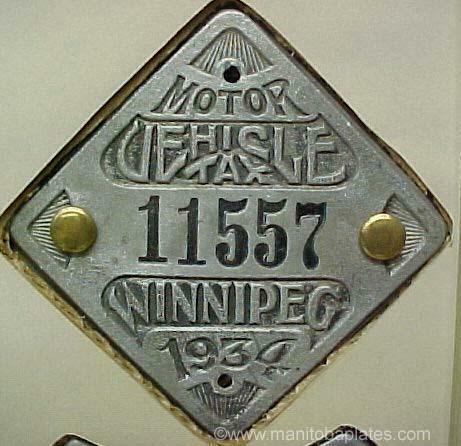 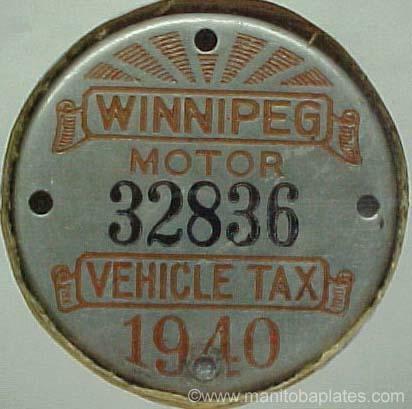 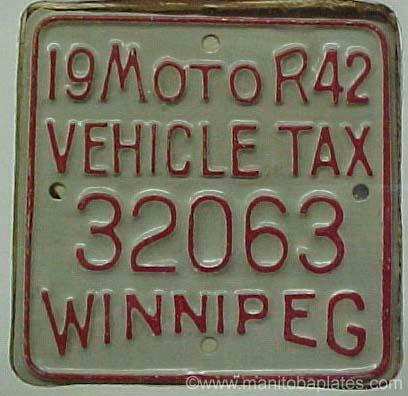 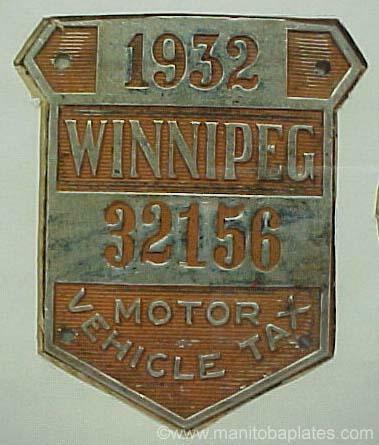 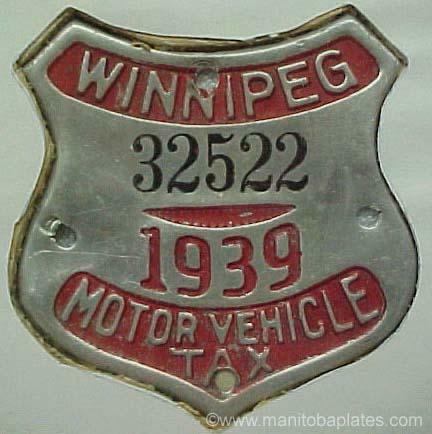 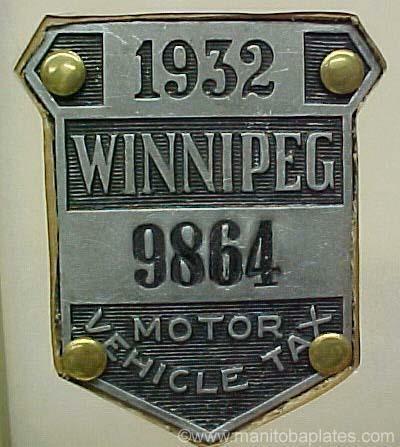 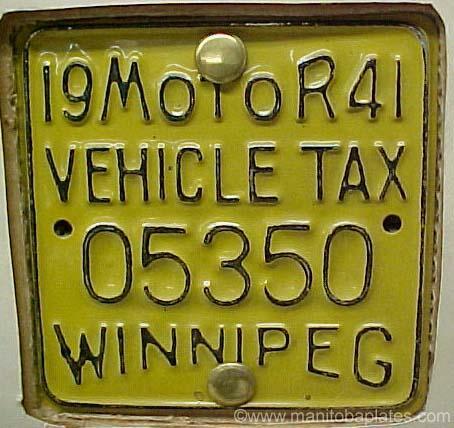 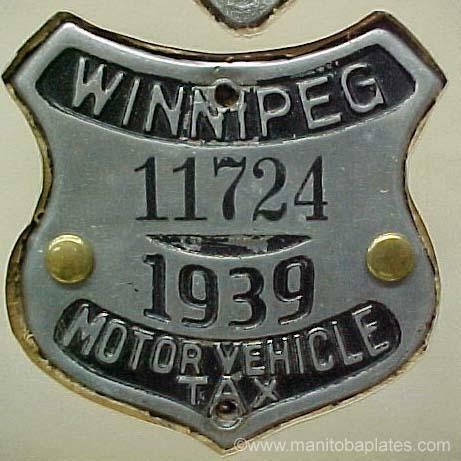 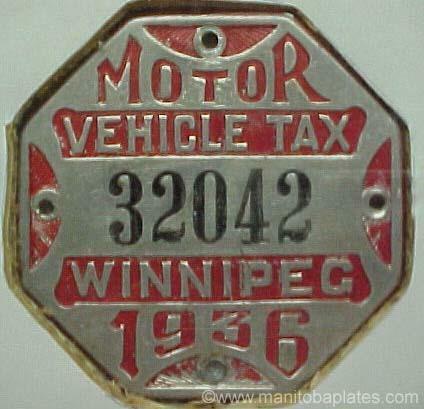 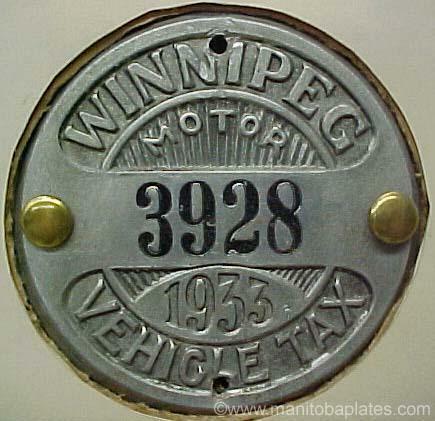 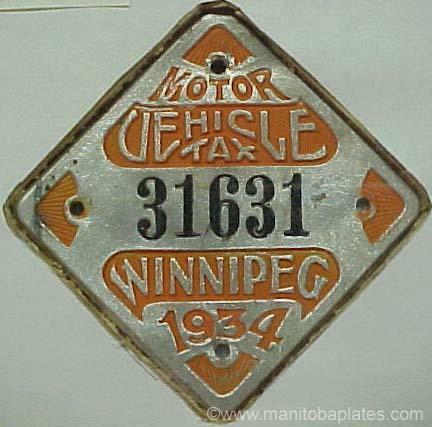 In 1932 the city of Winnipeg levied a tax on owners of motor vehicles to help pay for road repairs in the troubled times of the depression. 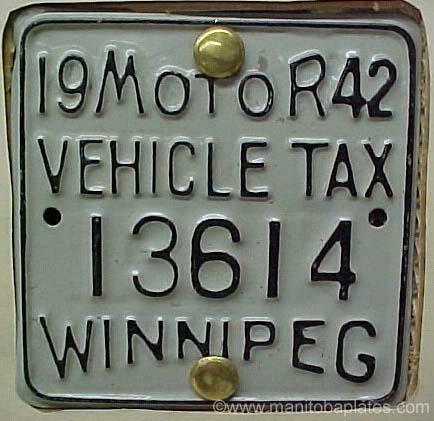 Unfortunately the unpopular vehicle tax was only for Winnipeg residents, not surrounding areas. 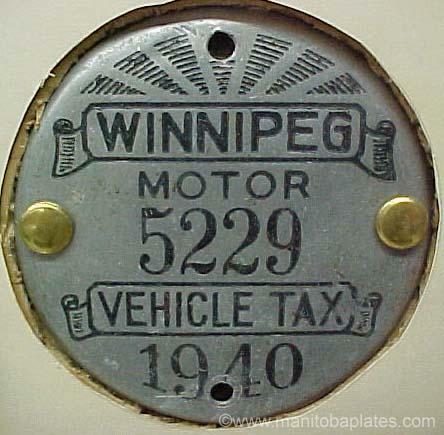 The unpopular tax ended in 1942. 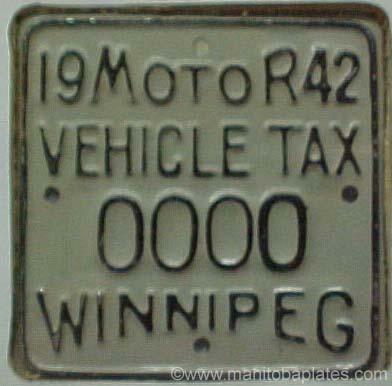 Numbers in black under 30,000 were for cars, over 30,000 in red were for motorcycles and trucks.